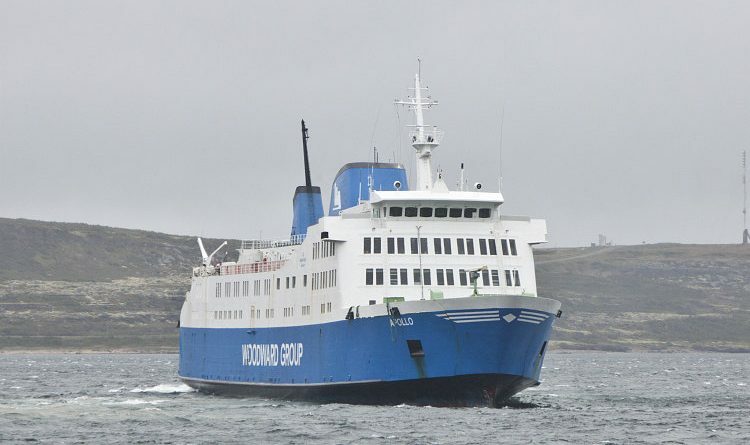 To get from the Island portion of the province, the traveler must go by ferry, the MV Apollo, owned by Woodward Group. The MV Apollo is a modern ferry which can accommodate 85 vehicles and 240 passengers. The vessel has comfortable seating, limited deck access, a cafeteria, and arcade.